The Sister Chapel (1974-78) was an important collaborative installation that materialized at the height of the women’s art movement. Conceived as a nonhierarchical, secular commemoration of female role models, The Sister Chapel consisted of an eighteen-foot abstract ceiling that hung above a circular arrangement of eleven monumental canvases, each depicting the standing figure of a heroic woman. The choice of subject was left entirely to the creator of each work. As a result, the paintings formed a visually cohesive group without compromising the individuality of the artists. Contemporary and historical women, deities, and conceptual figures were portrayed by distinguished New York painters-Alice Neel, May Stevens, and Sylvia Sleigh-as well as their accomplished but less prominent colleagues. Among the role models depicted were Artemisia Gentileschi, Frida Kahlo, Betty Friedan, Joan of Arc, and a female incarnation of God. Although last exhibited in 1980, The Sister Chapel has lingered in the minds of art historians who continue to note its significance as an exemplar of feminist collaboration. 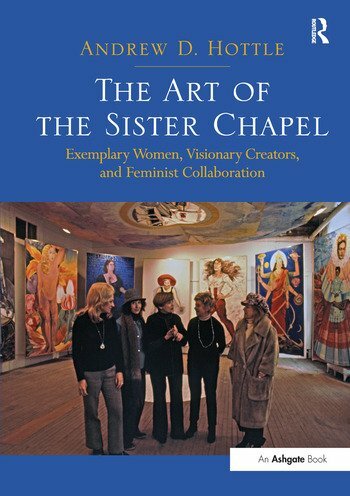 Based on previously-unpublished archival materials and featuring dozens of rarely-seen works of art, this comprehensive study details the fascinating history of The Sister Chapel, its constituent paintings, and its ambitious creators. Andrew D. Hottle, Ph.D., is Associate Professor of Art History at Rowan University in Glassboro, New Jersey, USA.